On hand as a performer, Taylor Swift posed on the red carpet this evening(October 9th) at the 2018 American Music awards in LA at the Microsoft Theater. 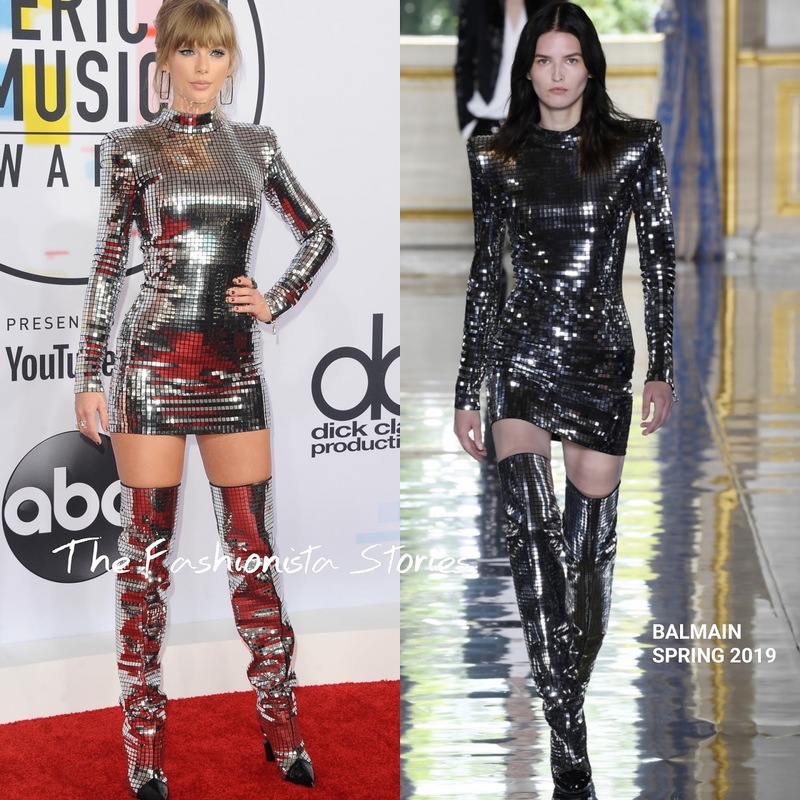 Making a shiny, disco inspired entrance, she was head to toe in BALMAIN SPRING 2019 which featured a long sleeve silver sequin mini dress and matching thigh-high boots. While Taylor's mini dress featured padded shoulders on the runway as well, the a mock neckline was added to her version which worked in her favor. Taylor has switched up her style a little, especially for her current tour, opting for sexier & edgier looks as you can see here. Silver jewelry and a up-do with bangs finished up her look. Did Taylor sell you on this shiny look?